This is the Lion Steel Otnat Spear Jack, has Red Micarta handles and Titanium liners. The blade steel is M390 and finish is Satin. This is my 2nd Lion Steel knife.. I also own a Shuffler that I am very pleased with… In fact, it was the Shuffler that sparked my interest in purchasing the Otnat…. 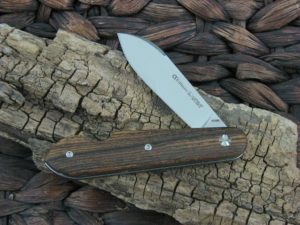 The quality, design, and manufacturing of the Otnat are excellent…. I like the nail nick near the tip… Also it is easy to pinch the blade open with the double sided nail nicks….. I like the red handles or scales; they are a mellow, easy to look at color….. 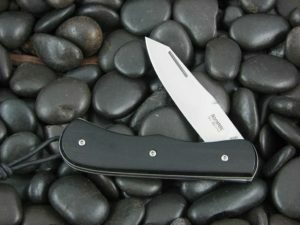 The knife fits my hand nicely and carries well in a pocket slip….. 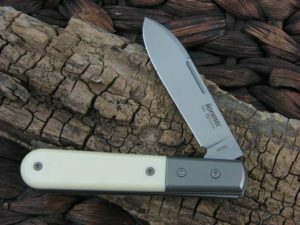 It comes with a small lanyard that is nice for ease of grasping… All in all, a very nice knife that I am totally satisfied with. A fantastic knife, with italian elegance and great function. 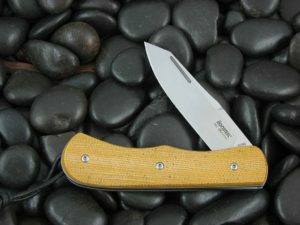 The red micarta is stylish. The knife just fits my hand perfectly. Have had it sometime now and it is my favorite EDC these days. 5 out of 5	Japanese shape, Italian craftmanship, U.S.A. Inspiration !!! Out of the box razor sharp. Design is outstanding. Metal outstanding (M390). Another home run for Collector Knives.